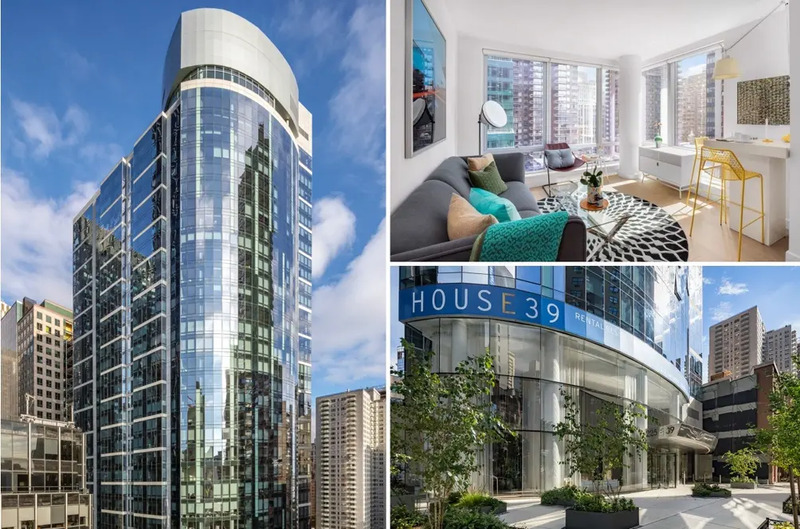 On East 39th Street between Second and Third Avenue in Murray is HOUSE39, a 36-story gleaming glass rental tower that launched brand new luxury residences in 2017. Homes come in studio to three bedroom layouts and the building provides residents with a high level of service and resort-style amenities designed by the Rockwell Group. The project was developed by Fisher Brothers and designed by Handel Architects. Rose Associates handles leasing and current listings offer new residents two months free on a 14-month lease or four months free on a 28-month lease; net prices for studios are from $3,467/month, one bedrooms from $4,217/moth, two bedrooms from $5,912/month and three bedrooms from $10,895/month. High ceilings and floor-to-ceiling windows exemplify city living with a panorama of some of the world's most iconic buildings, along with views of the East River, and beyond. Notable features include generous layouts, chef-style kitchens, and the always welcomed in-unit laundry with Bosch washers/dryers. There is strip wood flooring and the expansive windows are equipped with solar shades. HOUSE39's website offers a list of 39 reasons why the building's amenities should be admired. Included is the 24/7 attended lobby and concierge, rooftop pool, fitness center, indoor and outdoor hot tubs, private driveway and onsite garage. The remainder are a mix of indoor and outdoor fun like game rooms and playgrounds, to a great lawn and cabanas. The amenities are a convenience, and so is the building's Murray Hill location which until recently was known as a relatively quiet mixed-use neighborhood. Several high-profile residential projects are beginning to redefine areas of Murray Hill, including HOUSE39 which replaced a low-rise parking garage. Read more about the property and neighborhood on CityRealty or contact the leasing team here.